This past weekend I attended the annual conference of the New England chapter of the Society of Children’s Book Writer’s and Illustrators (NESCBWI). 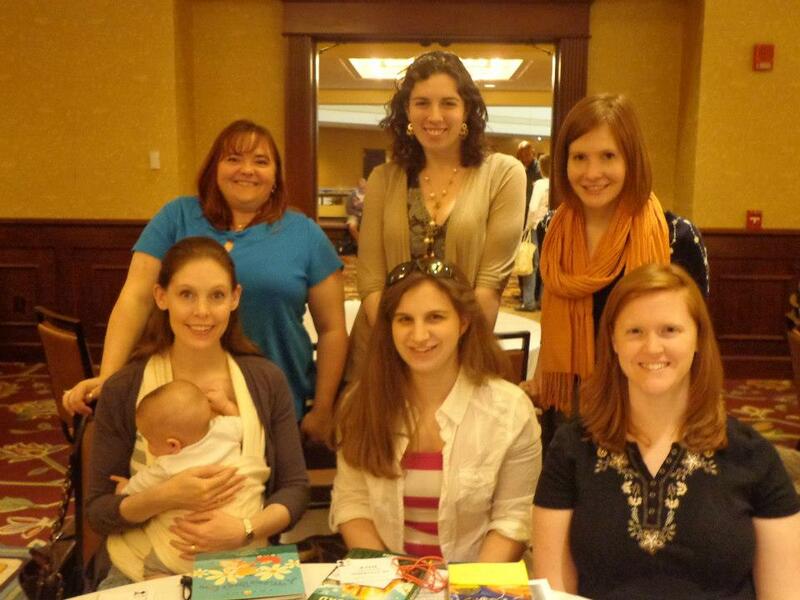 Now, when I was first learning about writing, I had no idea that SCBWI existed. I was skeptical because there were a lot of fluff organizations and books out there about writing for children. But then I started taking craft class at Grub Street in Boston and my professors there unanimously told us to go become members. So I did. And I have to say, five years later, it is one of the best investments I’ve made: SCBWI gives key information, sends out a strong publication every few months, and hosts extremely useful conferences. I’ve attended my regional NESCBWI conference every year and, to its credit, it has inspired me and taught me concrete things to work on at every stage of my development as a writer: from newbie with no idea what I was doing to debut author with a major publishing house. 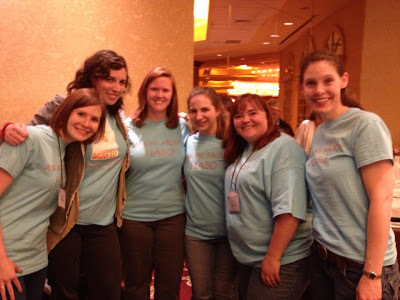 This year’s conference was particularly FUN though for another reason… my amazing writer’s group! Katie Slivensky, Annie Cardi, Julia Maranan, Lauren Barrett & Lisa Palin completely rallied around me & my book– they create a GOLDEN BOY gift basket to be raffled off, they handed out postcards to anyone who asked AND, coolest of all, they made and wore matching t-shirts all day long on Saturday. The front said “Ask me about Habo,” and the back had my cover, Kirkus review tag line, and release date. Seriously: best writer’s group ever.